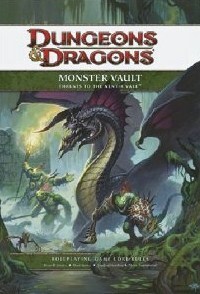 Amazon updated the Monster Vault: Threats to the Nentir Vale entry, adding the cover art. Assuming it survived the editing/development process, a couple of my contributions are illustrated here. Wizards of the Coast official product page.